Introducing our new AWA™ Newsletter! and to report on the progress of the China Trade and Industry Reference Group. We want this newsletter to be relevant, informative and a useful resource for you, so we welcome your comments on the first issue. On 19 June, AWA™ projects Team members Dean Lisson, Jayne Gallagher, Wayne Haggar, Mark Webster and Cindy Yuan undertook a Market Research and Trade Access Mission to Hong Kong and China. 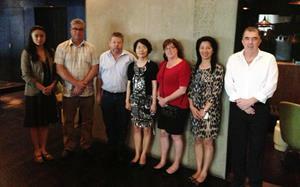 Meeting with importers, Chinese Cuisine associations and Austrade (the Australian Trade Commission), the visit provided valuable insight into the key requirements of the existing and emerging Chinese market and a comprehensive understanding of recent changes in the Government spending policy, and their impact on the premium seafood industry. "More than ever before, it is necessary and indeed prudent to activate a strategic educational program, with Australian Abalone processors and exporters, that aims to increase awareness of and preference for Australian wild caught abalone” said Dean Lisson, Chair Abalone Council Australia. The visit helped progress discussions with the Chinese Seafood Importers and distributors who are now keen to support and partner with the AWA™ program. Chinese Cuisine Associations are also very supportive of the initiative and will help us direct our efforts to our target 'audience', develop our supply chain education program and our timeline for the next 12 months. More information on the AWA™ Market Research and Trade Access mission is available. Please email admin@australianwildabalone.com.au for a copy of the report. We have a new member of the AWA™ team! 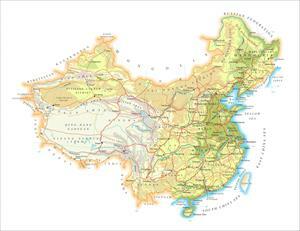 Helen Barnard started as the China Projects Officer on Monday 15th July. Helen has been recruited to provide secretariat services to the China Trade Industry Reference Group, the AWA™ Project Team and to work on the development and rollout of the AWA™ branding and Supplier Education Program. She is also going to be keeping the AWA™ stakeholders in the loop via the website and regular updates such as this newsletter! Please get in touch and introduce yourself or if you have any questions about the project. 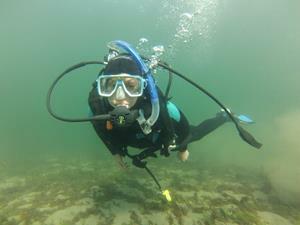 Here she is looking like a pro on her first dive! For further information please visit the latest update on the NEWS page on our website! Contact Helen on 03 6231 1956, helen@australianwildabalone.com.aushe is based at the TAC offices in Hobart. The CTIRG has been formed to investigate and address the complex trade and market access issues that are facing the Abalone and Rock Lobster industry. The group consists of industry professionals who work closely with consultants with specialised expertise and an understanding of international trade policy instruments currently applied to the lobster and abalone trade with China. The aim of the group is to support intergovernmental negotiations concerning the export of these premium seafood products to China. It's not an easy task! Understanding this rapidly changing trading environment and how it may impact on Australia’s seafood export industries and the implications for individual businesses is a critical step to secure future investment in China market development activities and provide market opportunities for our export businesses. We will keep you updated with the progress of the CTIRG and appreciate any input that may assist them with their activities. For a copy of the trade agenda and action plan please email Helen at helen@australianwildabalone.com.au. Jayne Gallagher, Dean Lisson and Gary Morgan (Chair of SRL Ltd) attended the Market Access Round Table meeting held in Canberra on Friday 26th July. There were around 150 people at the meeting, including members of the Department of Agriculture Fisheries and Forestry (DAFF), Department of Foreign Affairs and Trade (DFAT), and Austrade. - There was a consensus that DAFF needed to be closer to industry. The partnership between Government and industry in trade negotiations needs to be stronger and a an acknowledgement that having this relationship is not a conflict of interest. - Priorities need to be aligned; industry needs to communicate what it needs to achieve so that the Australian government priorities can reflect that. Measures of success need to be agreed. - A focus should be put into building relationships and developing networks with Government and Industry in the market/s, currently a lot of time is spent on the technical scientific aspects of trade barriers. It was excellent to see Austrade using the work we are doing with the China Trade and Industry Reference Group as an example of how industry can work with government productively on market access issues. This recognition of the seafood trade agenda by DAFF and by Ministerial advisors has helped open the door to engagement and important connections were made with key people irrespective of what may happen in the federal election. The clear agenda and pathway for communication we have developed has given us traction in Canberra but we must now deliver on that. We must be persistent with our communication and we need to invest in establishing an ongoing presence. The AWA™ education material is in it's final stages of development. We have received some fantastic feedback about the website and booklet which presents the quality of the product and the key differentiation aspects that we need to communicate to our supply chain partners and to our end users. The website and booklet have been developed in four languages to use 'in market' as an educational tool.. The centrepiece of the initiative is the certification mark that exporters will utilise to co-brand their premium products using the unique product provenance (brand protection) technology NanoTag. A series of educational events are being planned for importers and supply chain partners in Hong Kong and China in September and November this year. The events will present the AWA™ program and, building on relationships with importers we will leave them with the tools and support to differentiate and create preference for our products. 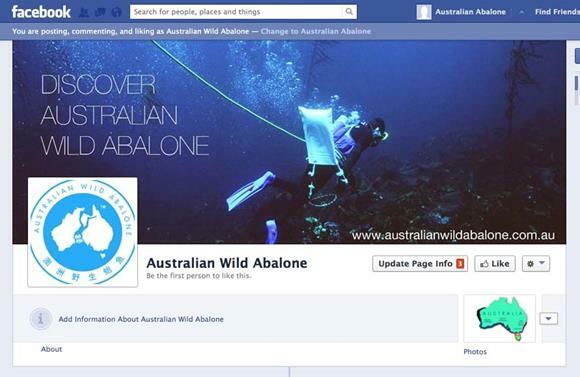 To help us keep up to date with each other and just to share some general Australian WIld Abalone™ love we have set up a facebook page! So please 'like' and share the page with anyone who you think would be interested in receiving regular updates on the project ,and of course share your own news!